Winter is fast approaching. It is time to start winterizing your home. Spending a little time everyday over the next week or two will have prepared without adding too many extras to your already long “to do list.” This list of tips will help you. · Your house is going to be closed up for several months with no fresh air circulating through open windows so take some time to clean the dust off all the things you rarely clean like ceiling fans and blinds. Clean curtains and drapes. Change the filters in humidifiers. · Have your furnace serviced by a professional. Check filters and pilot lights. 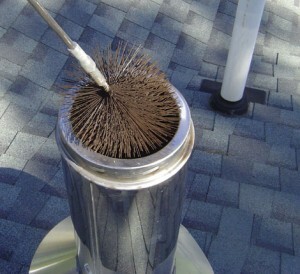 · Clean the chimney and flue before you use them. · Remove or protect window air conditioning units with durable plastic. · Drafts are a major cause of energy loss throughout the cold months and give you a rising energy bill. Check door and window seals. Make necessary repairs. Put up storm windows if necessary. · Put away out of season clothing. If you haven’t worn it in the last year put it in a pile for charity. Organize your winter clothing in your closet. Children’s clothing requires a little more thought. Ask yourself if it will still fit next year and if your child likes to wear each clothing piece. For those that you answer “yes” to, determine if they are still in good condition. Put those items in a storage bin for next year. Get rid of everything else and organize winter clothing. · Prepare riding mowers, the lawn mower and even tractors for winter storage. Change air filters and spark plugs so you won’t have to do it in the spring.